Your Smile is very important to us and we work hard to make it as good as it can be! Healthy teeth, gums and bone are all essential to a healthy mouth, and in turn a beautiful smile. It is more than straight teeth, it is about making the smile as good as it can be ..... there is a world of difference! Above: A before and after orthodontics shot, taken 8 years apart. This patient was missing two teeth in the front of her mouth. We used braces to close the spaces left by these absent teeth, then used composite veneers to mimic the appearance of the usual dental arrangement. Left: This is an example of Mark's work, 15 years on. 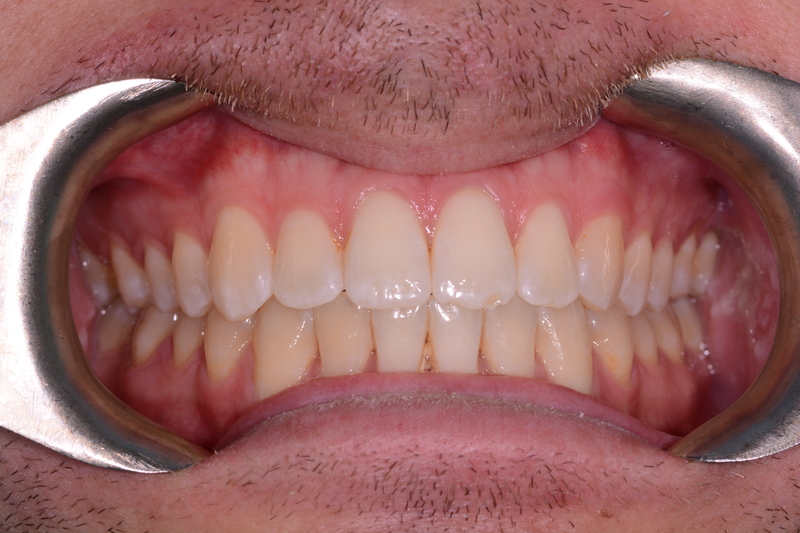 This patient had their braces removed in 2004, and is still very happy with the look and feel of their teeth!